At their next meeting this month, the Board of Commbank will be approving the bank's new climate policy. There is a good chance that the policy will rule out Commbank funding for new coal projects like Adani's mega mine. The Board needs to know that their customers and the public will no longer accept the funding of climate-destroying, reef-wrecking projects. It needs to approve strong and robust climate policy that is in line with the bank's previous stance on support for the Paris Agreement. That means no new coal - and certainly no Adani. Westpac have already shown that it is a climate leader, and Commbank now needs to catch up with a public statement and good policy ruling out the Adani mine. We demand that you show leadership and commitment to your own climate promises and enact a strong climate policy that rules out funding for new coal projects including the Adani mine. Your biggest competitors, Westpac and NAB, have already shown that they're willing to put the safe climate future of our children ahead of dodgy and destructive projects. 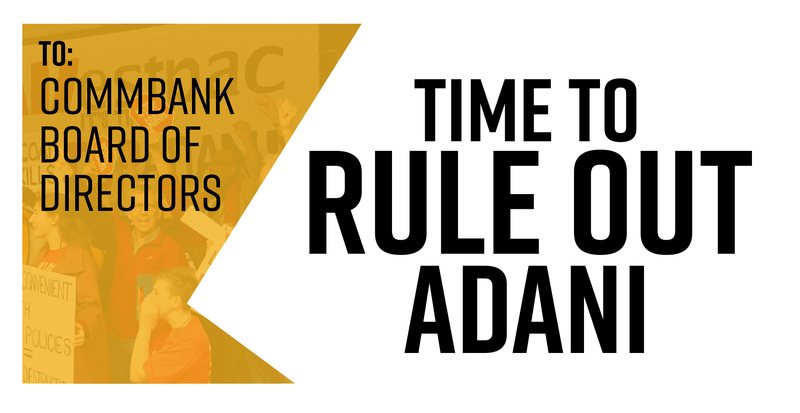 We urge you to step up and show leadership: rule out Adani, rule out new coal. Thank you for signing the petition. We will deliver your name, along with thousands of others, to the Board in the lead up to their next meeting when it is set to decide on the bank's new climate policy. To make sure they hear us loud and clear, we need you to share this page far and wide. At their next meeting this month, the Board of Commbank will be approving the bank's new climate policy. There is a good chance that the policy will rule out Commbank funding for new coal projects like Adani's mega mine. The Board needs to know that their customers and the public will no longer accept the funding of climate-destroying, reef-wrecking projects. It needs to approve strong and robust climate policy that is in line with the bank's previous stance on support for the Paris Agreement. That means no new coal - and certainly no Adani. 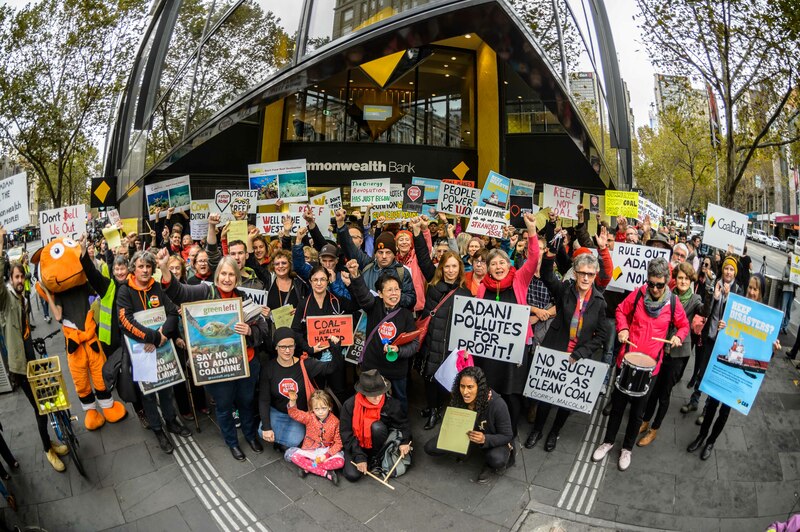 Westpac have already shown that it is a climate leader, and Commbank now needs to catch up with a public statement and good policy ruling out the Adani mine.